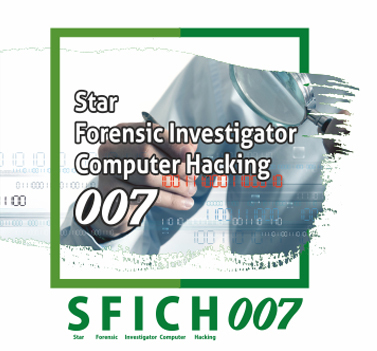 Star Forensic investigator in Computer Hacking is the practice of collecting, analyzing and reporting on digital data in a way that is legally admissible. It can be used in the detection and prevention of crime and in any dispute where evidence is stored digitally. This Course is Specially deign Cyber Crime Officer, Cyber Crime Investigator, legal professionals, professionals work as a cyber security government agencies, IT managers. In This Course You are learn about Investigation Tools, eDiscovery, Digital Evidence Collection, Evidence Preservation, E-Mail Investigation, E-Mail Tracking, IP Tracking, E-Mail Recovery, Encryption and Decryption methods, Search and Seizure of Computers, Recovering deleted evidences, Password Cracking. For EHE (Ethical Hacking Expert) and Network Operation Center (NOC), Security Operational Center (SOC), Cyber Crime Officer, Cyber Crime Investigator, Defense and Military, e-business security professionals, system administrator, legal professionals, banking, insurance and other professionals, government agencies, IT managers, Government Agencies etc. List and describe the common legal issues related to electronic evidence. Create a document review retention and destruction policy. Demonstrate an understanding of a code of ethics and conduct related to the information security and digital forensics professions. Analyze and critique search warrants, affidavits, and subpoenas. Utilize forensic tools and investigative methods to find electronic data, including Internet use history, word processing documents, images and other files. Understand the role of computer forensics in the business and private world. Identify some of the current techniques and tools for forensic examinations. Describe and identify basic principles of good professional practice for a forensic computing practitioner. Apply forensic tools in different situations. 1. Introduction to Star Forensics Investigator in Computer Hacking. 2. Importance of Computer Forensics. 4. Exploring Computer Forensics Tools. 5. Investigating and Analyzing Data in Computer Storage. 7. Analyzing Operating Systems: Windows, Linux and Mac. 8. Investigating and Analyzing Web Attacks. 9. Investigating and Analyzing Databases. 10. Investigating and Analyzing Networks. 11. Investigating and Analyzing Cloud, Virtualization. 12. Investigating and Analyzing Malicious Code. 13. Investigating and Analyzing Email Communications. 14. Investigating and Analyzing Mobiles. 15. Documenting the Data and Preparing for Future. For EHE (Ethical Hacking Expert) and Network Operation Center (NOC), Security Operational Center (SOC), Cyber Crime Officer, Cyber Crime Investigator, Defense and Military , e-business security professionals, system administrator, legal professionals, banking, insurance and other professionals, government agencies, IT managers.